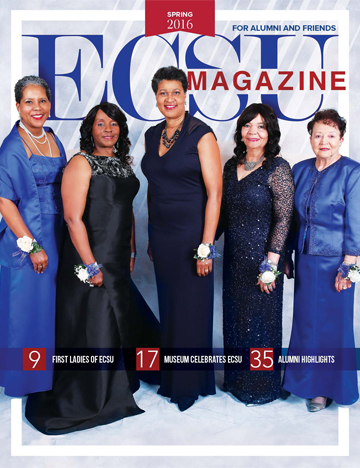 The ECSU magazine is published bi-annually by the Office of Communications and Marketing . The magazine highlights the accomplishments of the university, faculty, students, staff, and alumni. It also informs external constituents of ECSU's community outreach initiatives, athletics announcements and accomplishments, donor gifts and pledges and upcoming University events. A request for information is emailed to Vice Chancellors, Deans, Department Heads and Directors at least two months prior to the submission deadline. Managers submit information from and about faculty, staff, students and alumni.